The guitar went into a Morley volume pedal via a Vox vintage coil cable (a new one, they build them again although they are hard to get in some countries), then into an MXR analog delay (via another Vox coil cable), and then into a blackface Fender Pro Reverb from 1965. And here are the settings of the Pro Reverb. 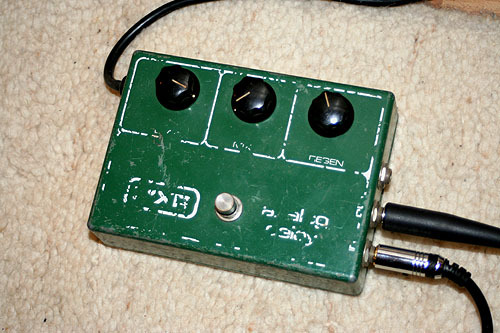 Note that it is modified: the speed control poti of the tremolo is used as a master volume. What can you tell us about the MusicMan HD212-130 amp? How does it sound compared to a Blackface Fender Twin Reverb or new Fender Twin Amp or your vintage Pro Reverb amp? As far I know, the pre-amp section is solid state instead of tube based. 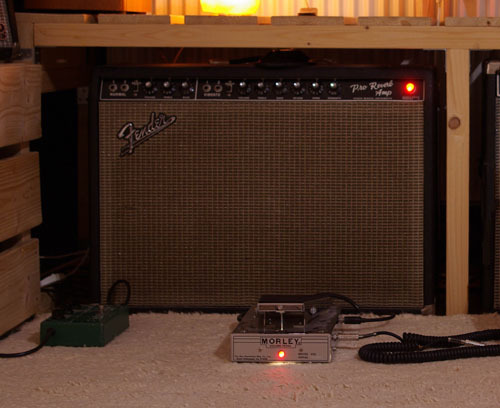 The Music Man HD 212 will surely be covered in a future article (it is the amp right of the Pro Reverb in the picture above). 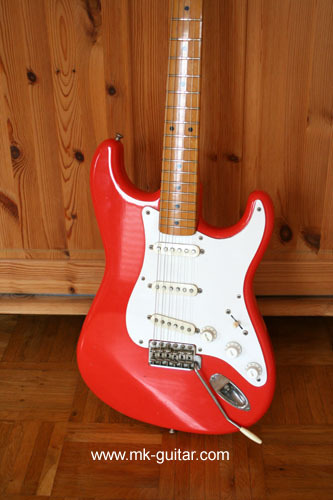 It looks like a Fender but it sounds really different, more midrange. 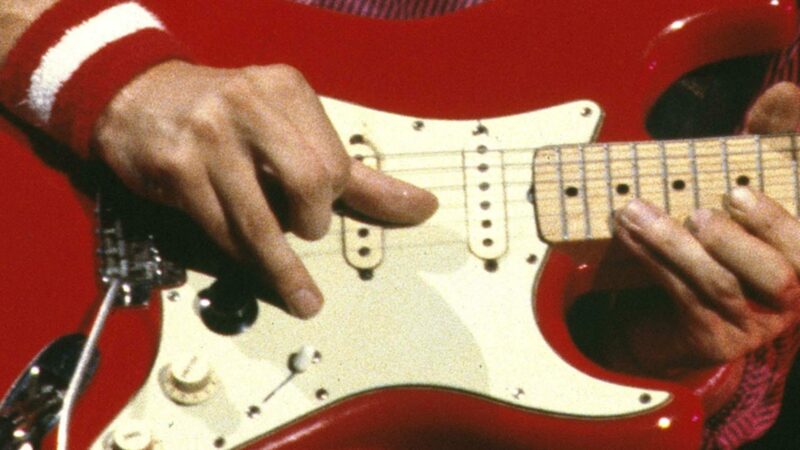 When you hear both side by side, I’d say most people would prefer the glassy, warm sound of a Fender, but the MM sounds nice with the other instruments. Indeed, I am new to learning about the guitar. Listening to the guitar being played appeals to me. I like the sounds of the electric guitar, too. The gear and settings talked about here are new to me and I appreciate the info given here.